The inspiration for the Spectracle light came from a visit to New York. This inspiration is visualized in a moodboard, which was the foundation of the final lamp design. 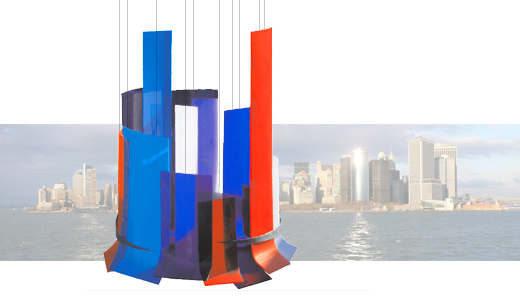 The design is a chaotically ordered composition of intense colors showing depth, bringing New York to life and claiming attention. The futuristic look of Perspex flirts with the traditional shape of a ceiling lamp. Presented at the light exposition at the 'Lijm en Cultuur' centre in Delft in May 2009.